Birmingham Airport has unveiled plans for a £500 million investment in the transport hub over the next 15 years, which it hopes will increase capacity by five million passengers a year. 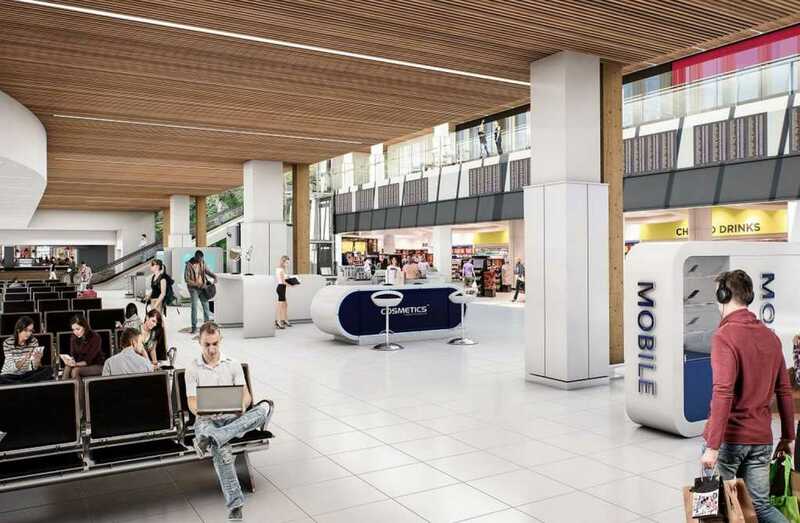 A major portion of that spending will see it create a larger departure lounge with a mezzanine floor, new retail and restaurant units, more toilets and seating. The ground floor check-in area will be revamped to have more self-service desks, the latest bag-drop technology and a new back-of-house baggage sorting area aimed at improving efficiency. The security area will be enlarged and a new arrivals section will be created. There will also be 11 additional aircraft stands and better public transport and road access for passengers, all fuelling the airport’s aim of increasing passenger numbers to 18 million by the year 2033. Although this is still well short of its estimated 30 million maximum, it would represent an increase of around five million passengers per year based on 2017’s figures when it welcomed 12.9 people through its doors. It is also planning to secure a greater choice of flights and destinations, both short- and long-haul services, alongside more charter services and journeys with full-service and budget carriers, adding to its existing 150 routes. Birmingham Airport, the UK’s seventh largest, claimed the self-funded investment would raise its contribution to the local economy from £1.5 billion to £2.1 billion a year and take employment to 34,000 jobs in 2033. These planned changes would sit alongside improved regional connectivity and a direct link to the HS2 Interchange station, set to be built around 1.2 miles away. Its new masterplan – entitled ‘The Midlands Gateway to the World’ – is being launched today and kicks off a three-month public consultation. But the announcement quashes any lingering questions over whether a second runway would be opened there any time soon as the airport said these aims were all achievable on the existing single runway. It said the masterplan followed recently restated government policy of making the best use of the UK’s existing runways. Acting managing director Simon Richards said: “Birmingham Airport is already the preferred national and international aviation hub for the Midlands and our ambition is to build on this to become one of Europe’s leading regional airports, acting as a key economic accelerator, delivering great service to passengers and helping to showcase the region. “Over the next 15 years, we will expand and significantly improve the airport to maximise our potential as a single runway airport by investing £500 million. This latest investment follows a £100 million injection into new security facilities and car parking, first announced in September 2016.